If you””””re traveling to Korea, chances are the DMZ is on your list of “must-sees”. And for good reason: With the country having been divided since August 1945, and all the news coverage of the Kim clan, the area known as the DeMilitarized Zone is a very interesting place to visit. Having lived in Korea for several years, I had done the DMZ tour before. Many times before, in fact. But I had never been able to go to the JSA, or Joint Security Area. The JSA is well known as the place on the border of the two Koreas where North Korean soldiers face off against South Korean and UN forces. 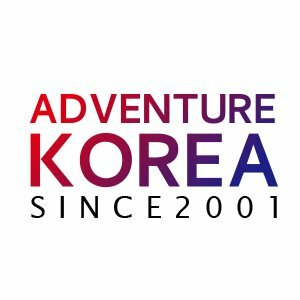 But I was waiting for the chance to go with Adventure Korea. So, finally, I was able to go in January 2014. The trip is broken into two distinct parts. The first is the DMZ trip. This trip meets between 08:00 and 08:30 at the Lotte Hotel, where you will check in, and then find your bus. After that, it””””s off to Imjingak and the DMZ! The schedule consists of a stop at the Third Infiltration Tunnel, where the group can take the train down and walk along to the first of three concrete barricades dividing North and South. No photos, unfortunately. From there, it””””s on to Dorasan Observatory. This observatory is right up against the Southern Limit Line, and you can get a great view of Kaesong City. Provided the weather is cooperating! And from there, our group went to Dorasan Train Station, the first train station to the North. After that, our group headed back to Imjingak, where people could have a lunch of either bulgogi or bibimbap. For those of us headed on to the JSA portion of the trip, we then had about an hour to explore the Imjingak area. There are several gift shops, one at which you can purchase North Korean currency, and monuments to Korean unification and some militaries that participated in the Korean War on behalf of the South. The JSA half of the trip was what I was most looking for, having never been before. As we boarded a different bus to our briefing at Camp Bonifas, we drove back through the Civilian Control Zone and the one South Korean town that is actually in the DMZ. At Bonifas, we all signed waivers, watched a slide show about the area.. And then it was on to the actual border. Naturally, the JSA has a lot of restrictions, but it was well worth it. We had only two minutes in the blue buildings, but we were able to snap photos of MPs and even step into Northern territory! After exiting the building, we could take photos of the Northern visitor””””s center, with one lonely North Korean soldier standing guard. We then took the bus past the scene of the axe murder incident, and the Bridge of No Return, where POWs were returned following the 1953 Armistice. And then, it was back to Bonifas.. And back to Seoul. All in all, it was a great trip! And even after having visited the DMZ many times and having gone into North Korea proper, it was a fascinating way to spend a day away from Seoul!